With the Triumph requirements being announced a few days ago, many people are rushing to complete the Skolas fight that are most likely running into trouble. 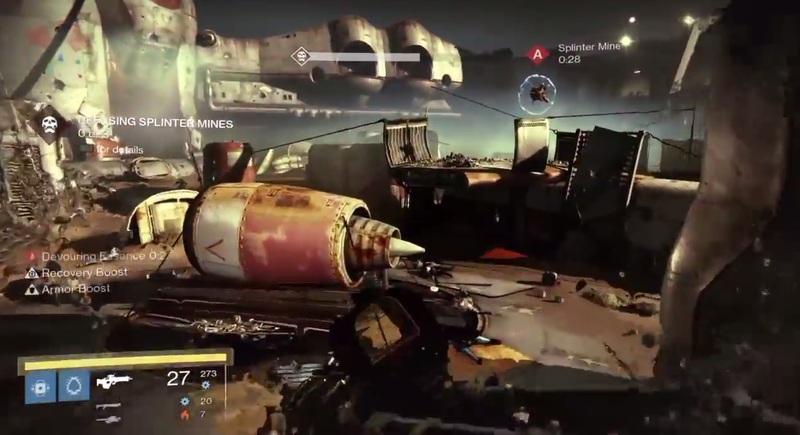 Outside of the disconnects, Skolas is a fight that can be difficult to those who are unprepared. I’d like to preface this guide by saying that chances are it won’t be much help to those who clear Skolas each week as this is designed to those looking to clear him for the achievement or to those that struggle each week to clear him. I also want to say that I do not have the greatest speaking voice, so there will be a text guide along with a video one. This is my video guide to Skolas in the 35 Prison of Elders. Disclaimer: The video may not remain 100% relevant each week as the modifiers change, but should help overall. Also, due to PSN Shareplay I was limited to how much commentary was allowed, so it’s not as in-depth as I would have liked it to be so there will be gaps when I talk, but I go over the most important parts and when he changes between the three phases. Most of the content in this will be in the video guide posted above (however 23 minutes can be a lot for most people, so options). I will go into some added detail here that I wasn’t able to in the video (simply because I do not know how to add commentary through youtube). Modifers for Skolas change on a weekly basis and seem to be some mashup of Brawler, Juggler, Small Arms, and Lightswitch. This may change but this seems to be the most common ones chosen each week. 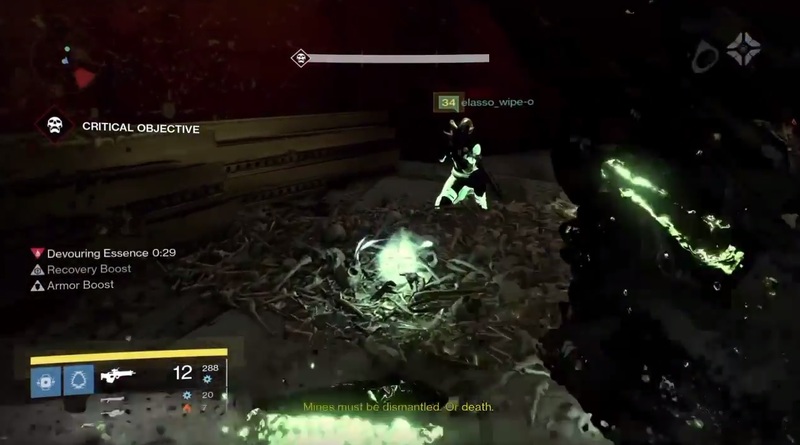 Skolas will take reduced damage during this phase until you kill the ghostly servitors. Ads will spawn periodically when Skolas takes around 5% of his health. As you exit the cinematic you want to immediately run left to the balcony. 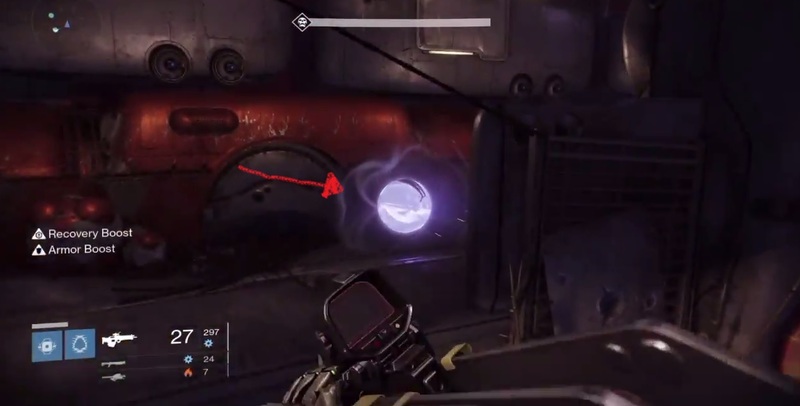 Here you will be focusing on the ghostly-looking servitor. Use whatever methods allow you to kill it the fastest. 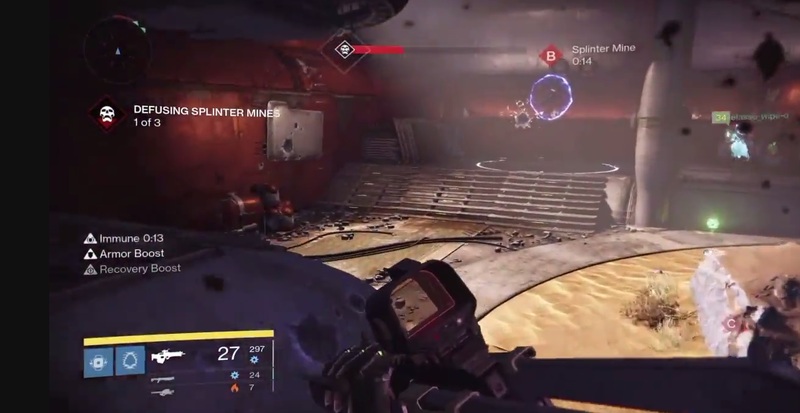 After the servitor dies you will have 20 seconds to damage Skolas. The first wave of ads will beging spawning pretty much as soon as you damage Skolas. You can have one person focus on the shanks that will spawn next to you, but you can ignore the other ads for now. You main goal is to do as much damage to Skolas before you need to move. As far as ads go, it seems that only ads that you have killed will re-spawn with each threshold of Skolas’ health. For this week being Small Arms you’re better off using your primaries to deal damage to Skolas vs. other weapons as all weapons other than primaries will have damage reduced by ~25%. Outside of that, burning him to the 70% health is doable with Gjallahorn and other high-impact guns. Once Skolas has come to a point where you no longer feel comfortable staying in your position, then move clock-wise around the room from one balcony to the next. From my experience, you’ll spend most of your time on the right balcony but it is up to you. Once you reach this location you should focus your attention to ads, as they will remain top priority throughout the fight. Ad Priority: This will remain throughout the fight. 1) Vandals with Wire Rifles (Snipers) or Shock Rifles – Especially with Small Arms active, these enemies have a high chance of killing you either when you move around the room or if you’re caught out of cover. 2) Melee Captains – Even without Lightswitch these guys can kill you pretty quickly and they are prone to being sneaky when they get in your face. 3) Captains – These guys hurt, plain and simple. They should be killed whenever you see one that is being too aggressive and coming right on top of you (and they will, keep an eye out). 4) Dregs – These guys are assholes. They’ll chuck grenades from across the map with pin-point accuracy and will generally be very annoying. That said they aren’t too much of a hassle, and die fast.These guys WILL one-shot you with their melee if you let one sneak up on you if Lightswitch is active, so make sure you’re aware of what’s going on around you. 5) Shanks – Aside from being annoying they won’t be too much of a threat. You can have the odd rogue shank but they don’t hurt too bad and die fairly quickly. After the Ads have been killed send one person out to kill the next Servitor. They tend to wander, so try to see where it is going so you’re not looking around for one and be forced to move. Once you have the buff begin damaging Skolas as much as you can. Typically two servitors will spawn while on the right balcony, so if his bonds do not break by then you will have to rotate back to the left balcony to find another. Repeat this till Skolas reaches 70% health. Taint will now be active during this phase. You no longer need to kill Servitors. Ads will spawn periodically and will need to be focused before you turn damage to Skolas. Here you’ll continue to rotate around the room when you need to. If you are on the left balcony you will need to watch out for the melee captain; if you’re on the right balcony he will (most of the time) be in the room underneath it and will rarely come up to it. Ad priority remains during this phase. 1) Last’s 30 seconds on the afflicted Guardian. 2) After it has been passed on the previously afflicted Guardian will become immune for 40 seconds and cannot take it back during this time. 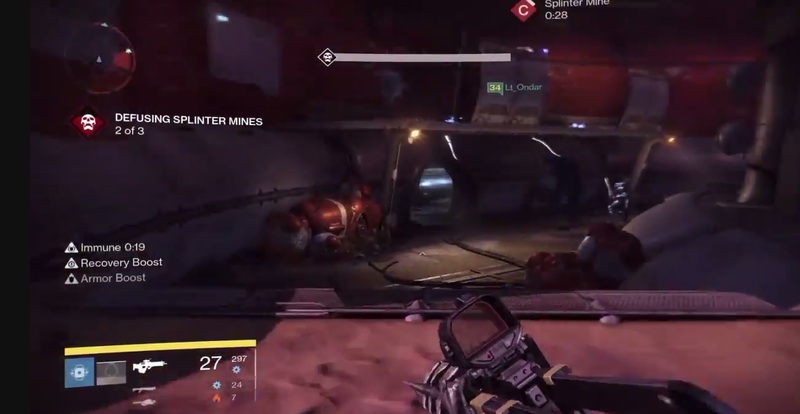 3) If a Guardian with Taint dies, Skolas will reapply it to a random Guardian after 10 seconds. Choose who is going to pick up the taint in a specific order. This will become important during Phase 3 when mines begin to show up. Swap the Taint at a specific time, I prefer to swap it at 10 seconds remaining. If someone who is about to pick up Taint dies consider your options. You can recover from it if you play right. However, like all raids, try not to die. Stay together. When you need to move around the room, plan to juggle either before you move or at a certain point as you are moving. Move as a team; if someone runs off in the opposite direction it can lead to a death from taint and cause a wipe. Communication becomes important during this phase, failure to do so will often end in a wipe. Not everyone needs to talk, but the team should all be on the same page. I find it best to have a shot-caller so that multiple people aren’t talking and making things confusing. At first, juggling the taint can be a little hectic, but once you get into the groove of things it’ll become a after-thought. In this phase you’ll really feel how important it is for Ads to die during this phase because you’ll be moving around a lot as you move into Phase 3. Mines will need to be dismantled when Skolas reaches two health thresholds, 50 percent and 25 percent respectively. Mines spawn in the same three locations each time however the exact order of the three locations is random. Ads and Devouring Essence (Taint) will continue to be active during this time. Mines will spawn in these three locations. Far left-side of the room. Far right-side of the room on the balcony. This phase is by far the most hectic, and requires constant communication and luck. 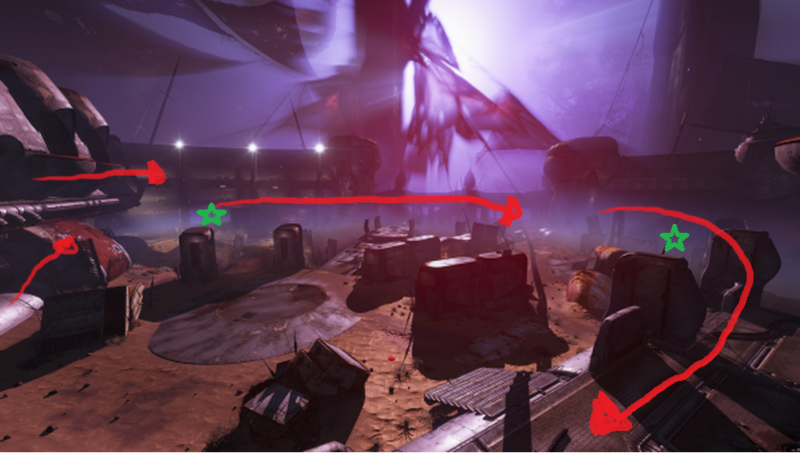 Most of your wipes will most likely be in one of these two phases simply because mines can spawn in really crappy locations. You also need to be fast, it can fail you if you dismantle a mine with 1 second remaining.. There is a small gap between when Skolas will spawn ads and mines, but it is incredibly small. If you’re lucky you can spawn ads and kill them before the mines, but most likely they will overlap. If it happens use whatever tools you have (supers, self-rez, invisibility, bubble, etc) to negate most of the danger. I suggest that you start off on the right balcony when the mines start for two reasons. 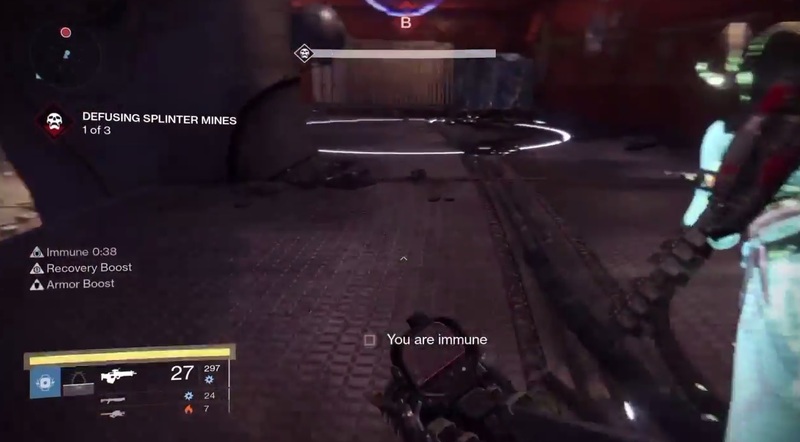 The first is that Skolas does not come up to the platform, so you have a chance of dismantling one of your first mines (if you’re lucky for it to spawn there) without worry about needing to move. 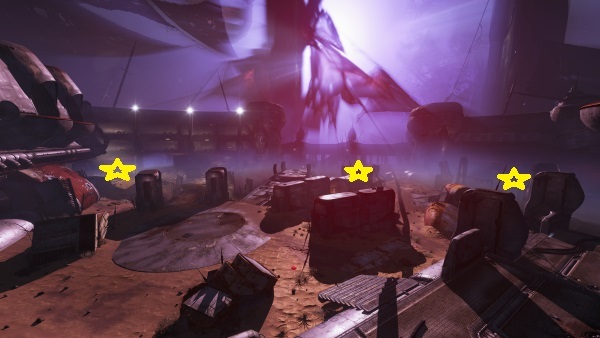 The second is that if you do need to move to reach a mine you have a lot of cover from ads and Skolas who are on the far-right-side of the room. When you are moving it is important that person with Devouring Essence (Taint) and the next Guardian who is taking the Essence to move together. The third Guardian can move with you but it is not necessary and can mean an easier mine phase with them getting the last mine. Once all mines have been dismantled I suggest making your way back to the right balcony so you don’t have to worry too much about stray ads coming up into your face. Start the mines on the right balcony. If you start on the left you risk Skolas coming up onto the platform, forcing you to move. For the center mine have a Hunter with invisibility or Titan with a blinding bubble dismantle it themselves or help because you’re very exposed in that location. If you’re worried about the taint being an issue, have a warlock dismantle a mine by themselves and die with it. They can self-rez if needed and you have 10 seconds before Skolas inflicts Devouring Essence again. Once the two phases are over, the fight will revert back to Phase 2 where you juggle the Taint and focus down ads then Skolas. This fight is not easy. Of all the fights in Destiny, Skolas has the most mechanics and requires the most teamwork despite only being 3-Man content. Take the fight slow and utilize all the tools at your disposal. Understand the mechanics of the fight and how they work with the modifiers. Don’t tunnel on Skolas the entire time, be aware of the ads. You can wipe to a stray Dreg if you’re not paying attention. Communication is key. If you have a Guardian who isn’t paying attention to their Essence timer, is not calling out things that are important, or doing their own thing and not being a team players, then they will make the fight difficult for you. The best team-comp for this (my own opinion) would be a Sunsinger Warlock, Bladedancer Hunter, and Defender Titan (preferably with Helm of Saint-14). For weapons, my favorite load-out is Fang of Ir-Yut, Found Verdict, and Gjallahorn. I use the Fang because I like seeing my radar while shooting so that I don’t get surprised by ads. Found Verdict is an amazing shotgun for dealing with Captains, and Gjallahorn simply because it’s Gjallahorn. Because this week is Small Arms your primary is the only thing that matters. Lastly, I think it should be noted that because I use Gjallahorn and recommend it, you DO NOT need it for the fight, or any fight for that matter. The community is becoming too reliant on it. It is a powerful tool to help you in a fight, not a crutch to carry you through one. With that, I hope the guide was helpful. If anyone has any criticizing remarks or info that should be added I’ll gladly put it in. Good luck out there!